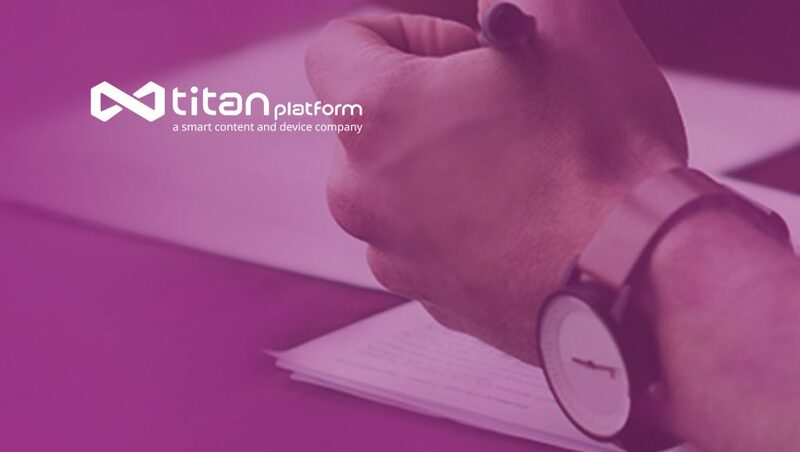 TiTAN Platform, a smart content and device company with offices in the US, South Korea, Singapore and China, officially launched its US product line. TiTAN Play and TiTAN Core are now available to consumers for the first time, pairing a secure smart content platform with a smart home device that will create a seamless, all-in-one experience for consumers and creators. Mr. Yoon was the opening speaker at last night’s launch event in Hollywood, California where TiTAN Platform demoed their integrated smart content platform and smart home devices for Hollywood creators, technology partners and investors. TiTAN Play is a highly-encrypted, transactional content platform that allows content owners to securely upload their IP and have access to consumers through a secure content marketplace. TiTAN Core is a smart home hub device married with a lean-back living room entertainment experience, allowing consumers to manage their connected or smart Internet of Things (IoT) devices and appliances. Behind TiTAN Play and TiTAN Core is TiTAN Platform’s exclusive content protection technology, TiTAN Platform Content Identifier (TCI) which protects all digitally uploaded content from illegal downloads and reproductions while allowing for advanced measurement, analytics and transactions to optimize the consumer experience. Mr. Sexton, former head of digital at Lionsgate Entertainment, Participant Media and Endemol Shine, also announced content distribution deals with TV4 Entertainment (tv4ent.com) and Frequency (frequency.com). As a result of these deals, TiTAN Play users will have access to libraries of premium content including the ability to access content from TV4 Entertainment’s portfolio of passion or niche-based OTT channels and original productions; and watch videos from hundreds of the world’s top digital producers, including TV and multichannel networks from Frequency. Disrupting the SVOD and OTT sectors, TiTAN content creators will also be able to quickly launch SVOD (Subscription Video on Demand) channels by uploading content directly through either the TiTAN Core smart device in their homes or via TiTAN Play on their mobile devices. The free TiTAN Play apps are available on TiTAN Core as well as iOS and Android devices. The first prosumer or pro version of TiTAN Core – the TiTAN Core 5 – is available at shop.titanplatform.us, and will be sold at over 10 retailers including b8ta stores in Santa Monica, San Francisco and San Jose, on Indiegogo’s new ecommerce marketplace, Newegg, HSN, NEX / Navy Exchange and multiple flagship IoT department stores in advance of the holidays. A new, mass market basic version of the TiTAN Core line for big box retailers will also be released with wide distribution before the end of the year.